Everyone has some level of extrasensory perception. Flashes of insight, extraordinary knowing, premonitions filled with guidance or warning. The key is to learn to recognize it, discover the underlying message, then use the information in your everyday life. Mediums, intuitives can help you by seeing what you don't ... until you learn to "see" for yourself. I hear what you do not, see what you cannot, feel what you dare not, then bring the information through with love and compassion, and a healthy dose of humor, too. What I do is not "hoo-doo voodoo." I connect with the God of YOUR own understanding and bring through messages of guidance, comfort, healing. If you have questions you need answered, drop me line at martie@spiritualintuitive.com to schedule a reading. A truly wise person knows not the answer, but where it can be found. If you're interested in what I'm up to, you're welcome to take a peek at my blog at http://spiritualintuitive.blogspot.com/. It is my sincere desire to get back to it. In the meantime, there's some old stuff there that I'm told is pretty interesting. So, just what does a Spiritual Intuitive do? I help folks deal with the issues that keep them from moving along on their own Journey to Consciousness, finding their way Home. Actually, finding the root of the issue is a lot like peeling an onion - it must be an onion since it almost always involves tears. Moving through the fragile, paper thin cover, taking it apart layer by layer until we can get to the middle, the core. Then once we're there, I'm "told" exactly what needs to be done to heal the crisis. I employ a very holistic approach in my work. I use my psychic ability, my mediumship skills, my medical intuitive knowledge, and most important, I use my connection with SPIRIT, the God of YOUR understanding, to get to problem. I see what's really happening and give you not only a description, but the information you need to go forward on your Path. When someone has done all the workshops, done all the reading, all the crying, all the praying, when someone has been to mediums and psychics, and therapists, somehow, they find their way to me. Drop me an email at martie@spiritualintuitive.com to schedule an appointment. You need not go through this alone. 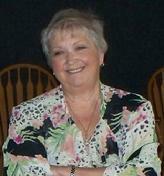 Featured in "Lily Dale: The True Story of the Town that Talks to the Dead" by award-winning author Christine Wicker. Featured in "Stay Tuned: Conversations with Dad" by Jenniffer Weigel.